PCRA-1 Wall plate is 2 ½” wide x 10” high steel plate with 3” x 4” steel eye. 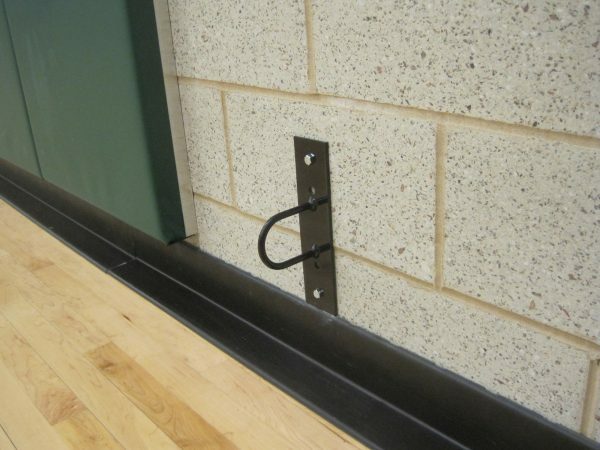 Because of the wide variety of wall materials we do not include any fasteners. 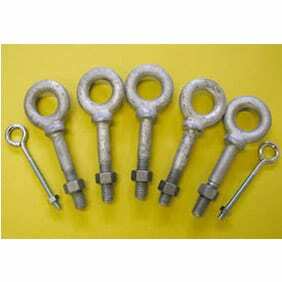 Your local hardware store will have the appropriate hardware for concrete, block, brick, wood stud etc. 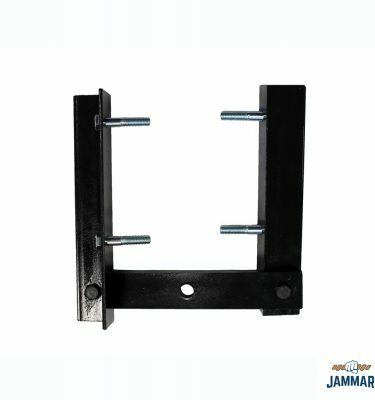 Plate includes 4 holes for anchoring. 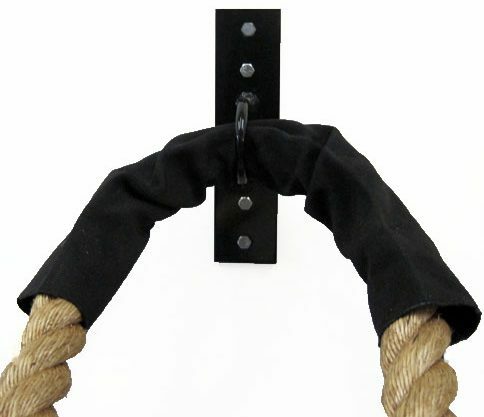 Most cases you will need to use only one top and one bottom hole, but some cases may utilize all four, particularly in wood screw applications. 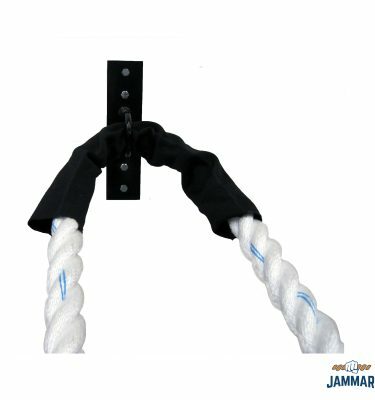 The PCRA-1 will accommodate any of Jammar’s 1″, 1.25″, 1.5″ or 2” diameter Power Conditioning ropes. 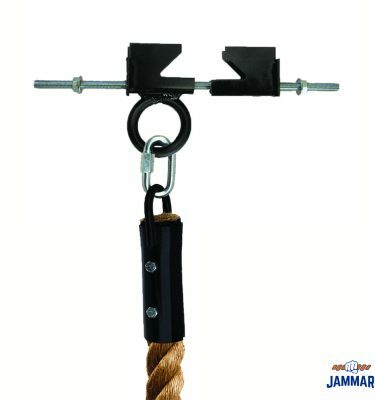 Simply anchor unit on any wall and slide rope through. 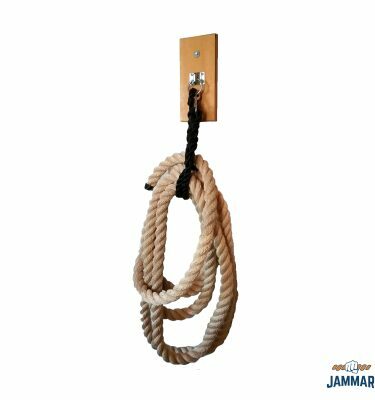 Locate on the wall and above the floor where you feel it will be most appropriate for the range of movements you wish to do and space you need. 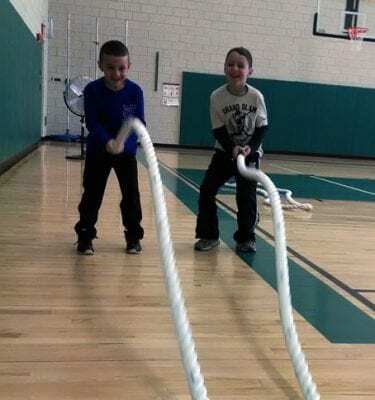 Usually close to the floor. 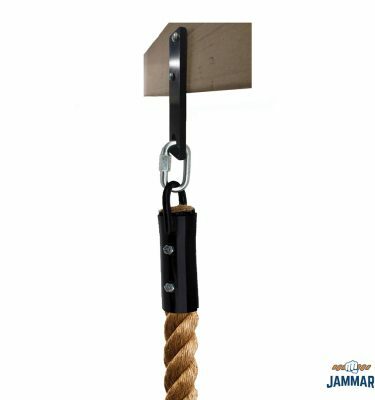 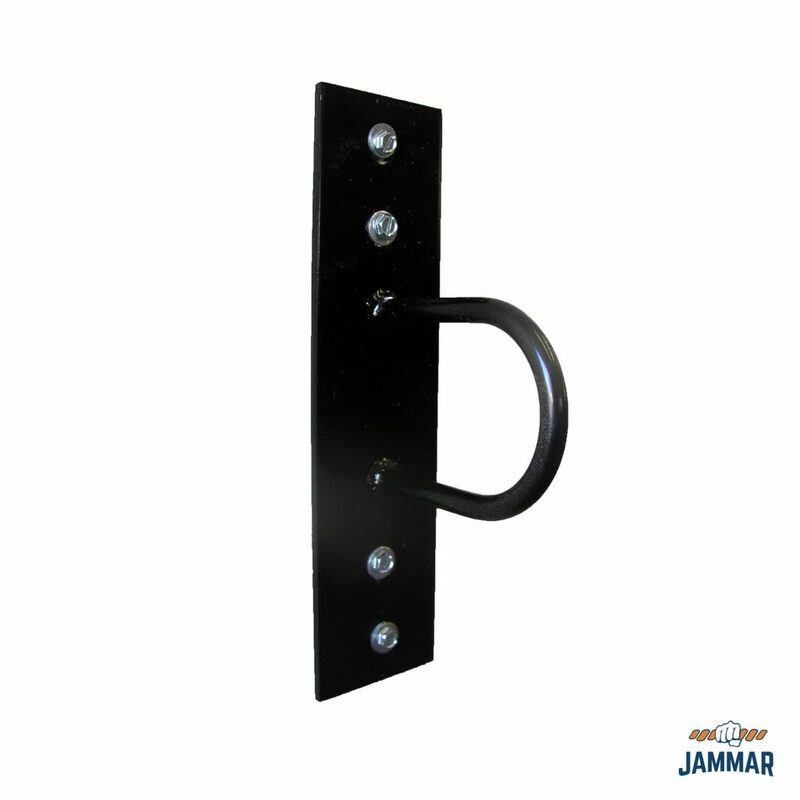 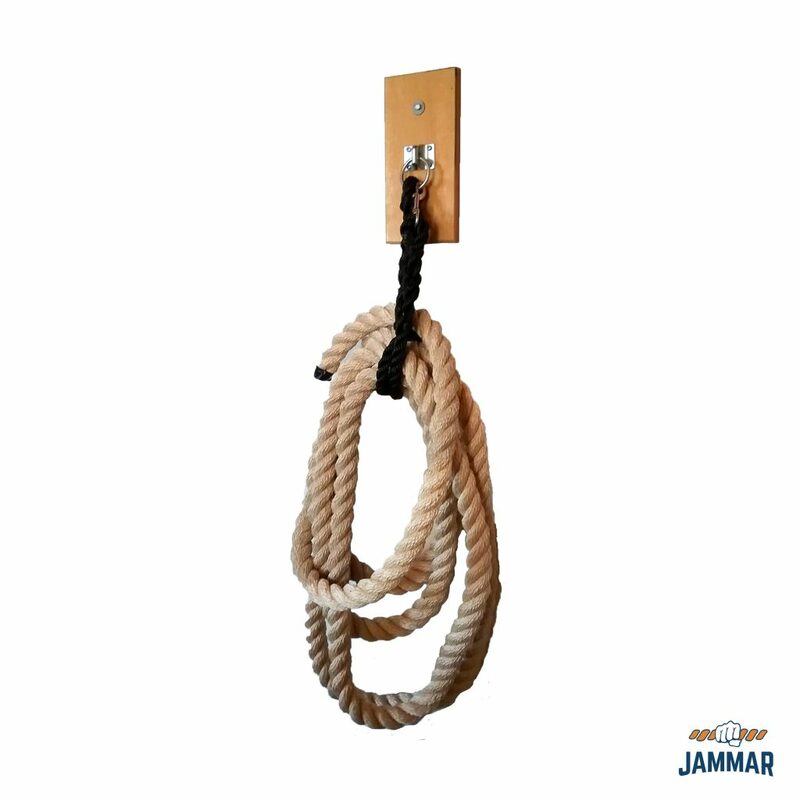 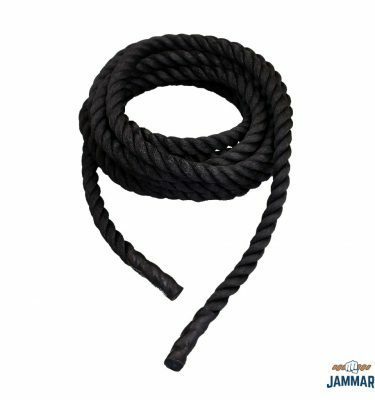 Use Jammar’s Rope Hanger (PCRH-1) to store rope on wall when not in use.